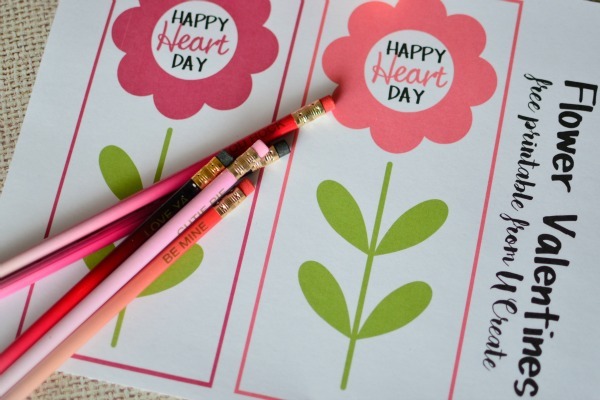 In search of “no candy” classroom Valentines? 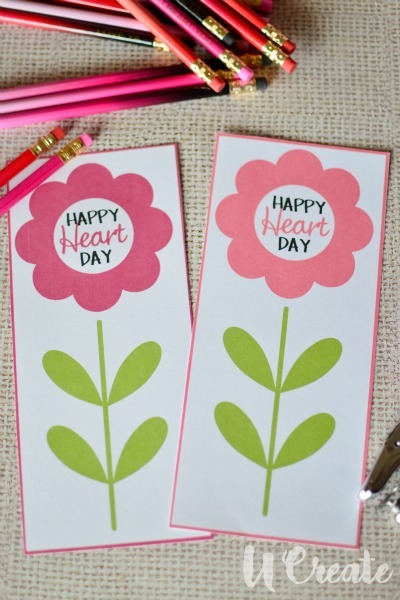 Then, you will love the Valentine Printables we have for you. Cut out the flowers on the pink line. Punch a hole (or cut a hole with xacto knife) at the top and bottom of the stem. 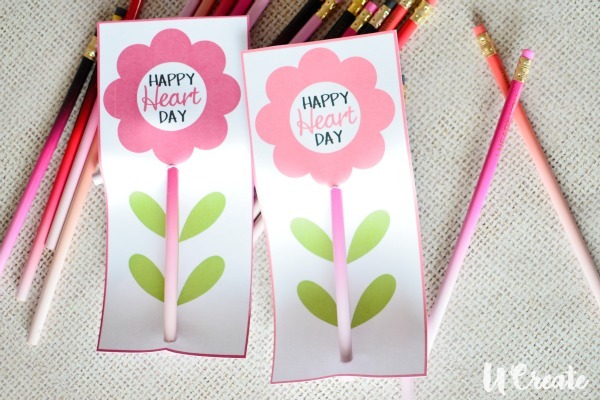 Put pencil through holes and tape eraser tip down with washi tape. 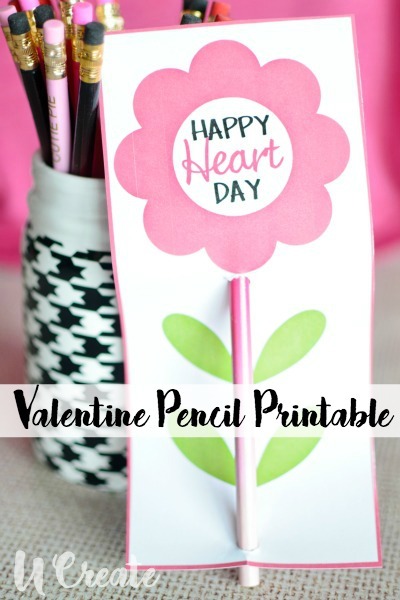 Make sure to take a picture and show us what you do with our Valentine printables. Tag us on Instagram @ucreateblog or share it on our Facebook page.